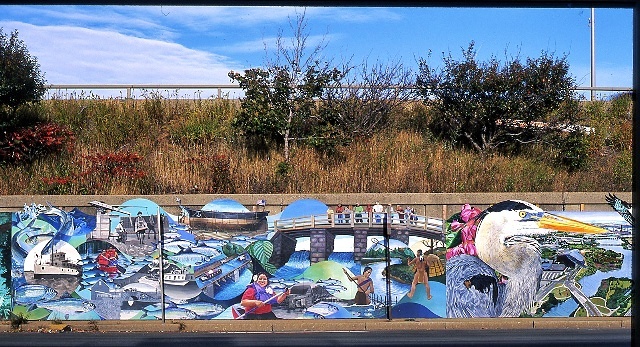 Artists are busy painting new panels soon to be added to the Mystic River Mural Project, a stunning display of the Mystic River watershed’s beauty seen alongside I-93 in Somerville! Earlier this summer Friends board chairman Bryan Hamlin met in the Fells with the project’s high school student artists and mural project coordinator David Fichter to share information about the reservation’s many native plants. 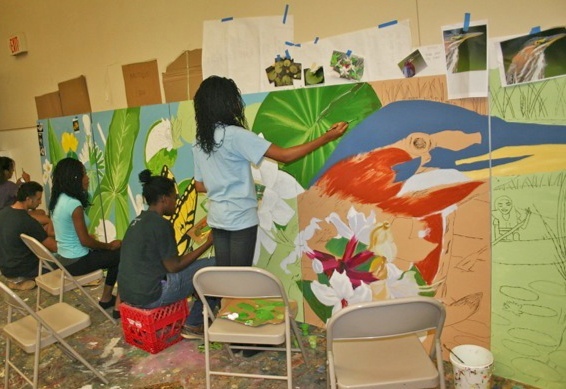 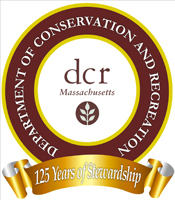 This field experience, plus viewing slides from Bryan’s Found in the Fells website, has provided the artists with information and inspiration for painting the majority of plant species that will be painted on the mural sections. Anna Miller, Environmental Educator for the Mystic Mural Project, stated that “Through the Fells, the students have learned how different plants interact with each other and obtained a glimpse into the beauty of nature. 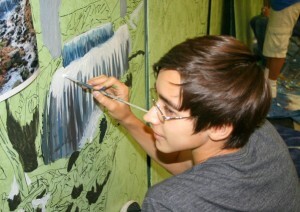 With the help of these talented students, the beauty of the watershed will be brought to the community for all to enjoy on their daily commute.” The photos here, provided by David Fichter, show the artists at work painting the panels soon to be added to the Mystic River Mural.